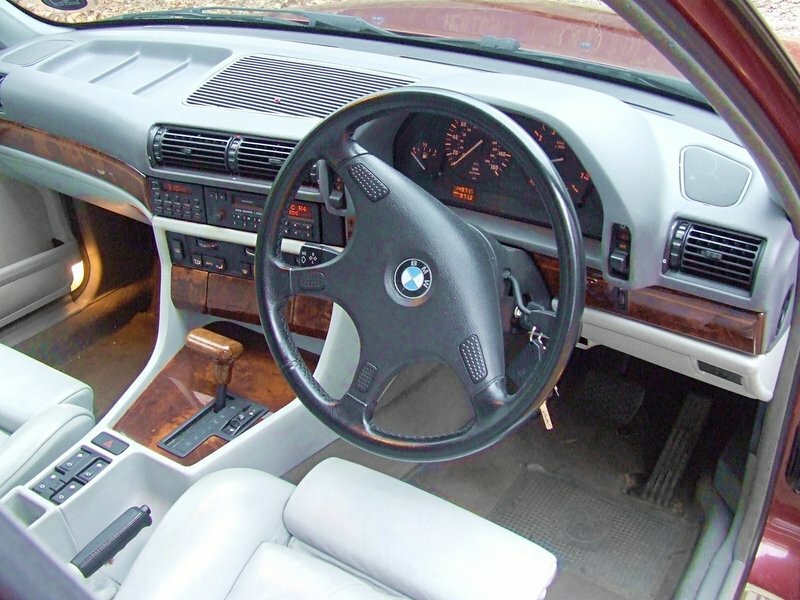 This was my first BMW 7-Series, a 1993 V8 730i Sports model. 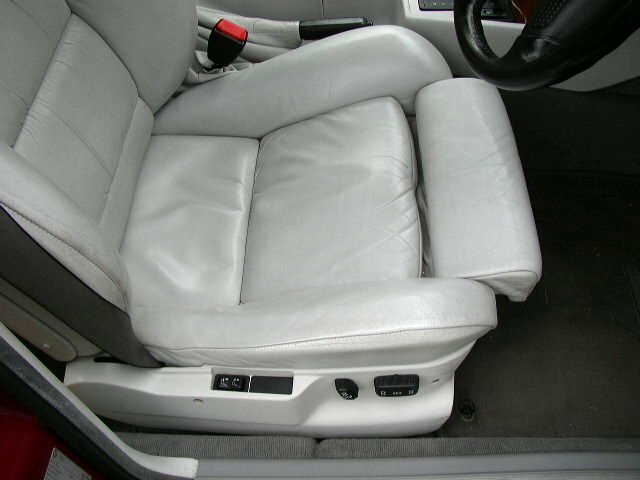 It had factory-fitted Sports seats, Shadowline trim and Cream Bilstein shocks. 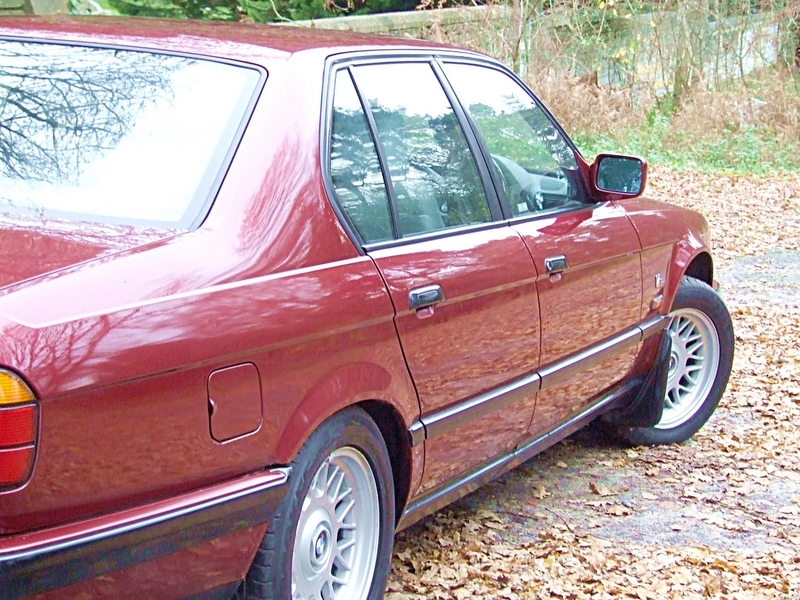 The 730i was an excellent car, I couldn't have had a better introduction to the BMW 7-Series. 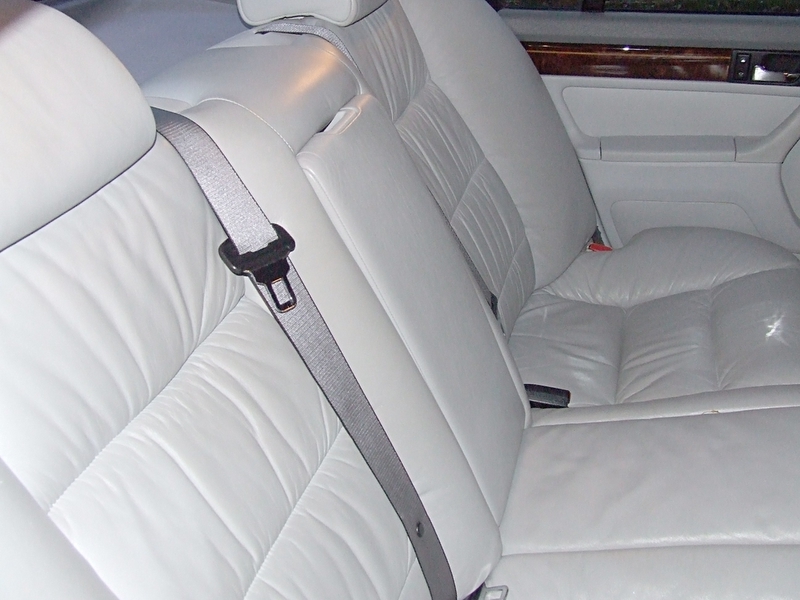 It wasn't without its faults and suffered from the usual complaints that the M60 V8's commonly had. 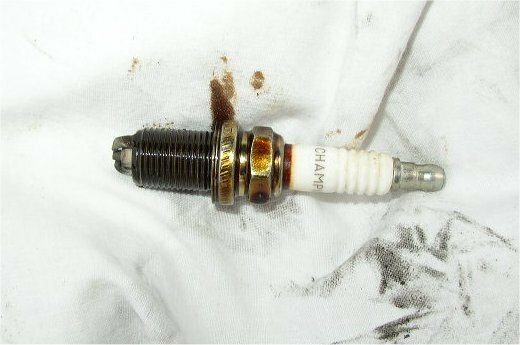 The PCV valve popped, there were pools of oil in the spark-plug wells and the ECU failed on one of the eight coil outputs. All these faults were easy to repair but the steering slowly deteriorated to a point where a front-end rebuild was necessary. Replacement of the upper-arms helped but it was never great and used to tramline quite badly. 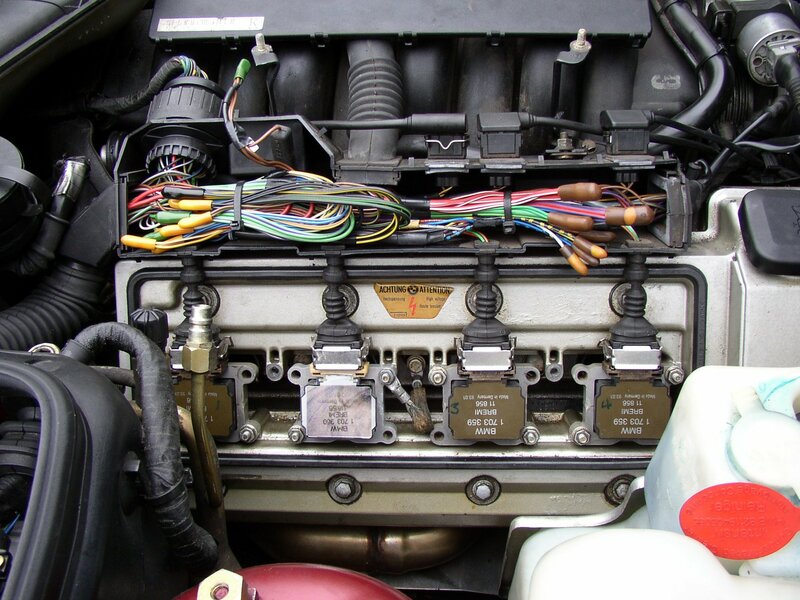 However, the fact that the engine suffered from the usual PCV valve failure was a good point! 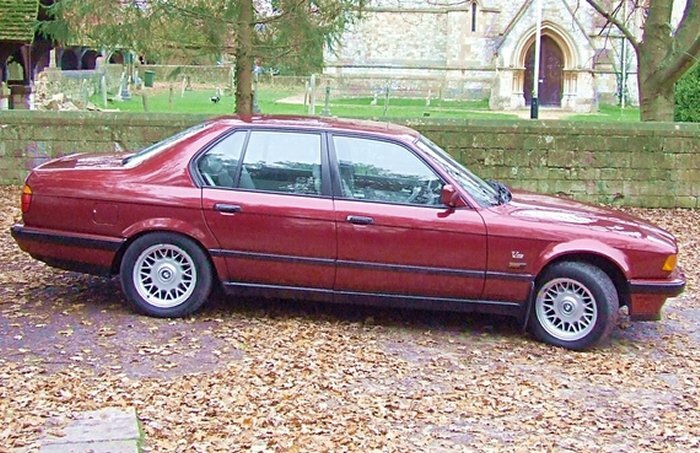 At the time of purchase the 'Nikasil Issue' was very well known in that the early 90's V8's could suffer from bore-wear. Nikasil was impregnated into the cylinder walls (no liner was used) during manufacture to harden the surface. Unfortunately the high Sulphur content in some UK petrol supplies broke down the chemical structure leading to premature bore-wear which was shown (most noticeably) by a tick-over that would rock the car. 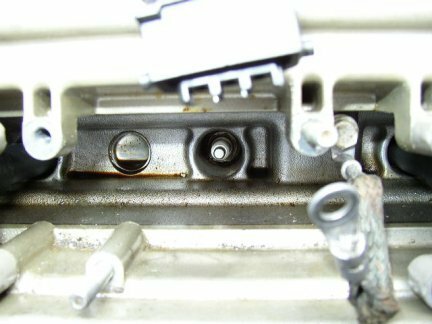 A failed PCV valve caused the same symptoms and that was why so many BMW V8's sold at ridiculously low prices....and this was one of them. After replacing the PCV valve, removing oil from the spark-plug wells and replacing the HT stubs this V8 was as smooth as the day it was made. 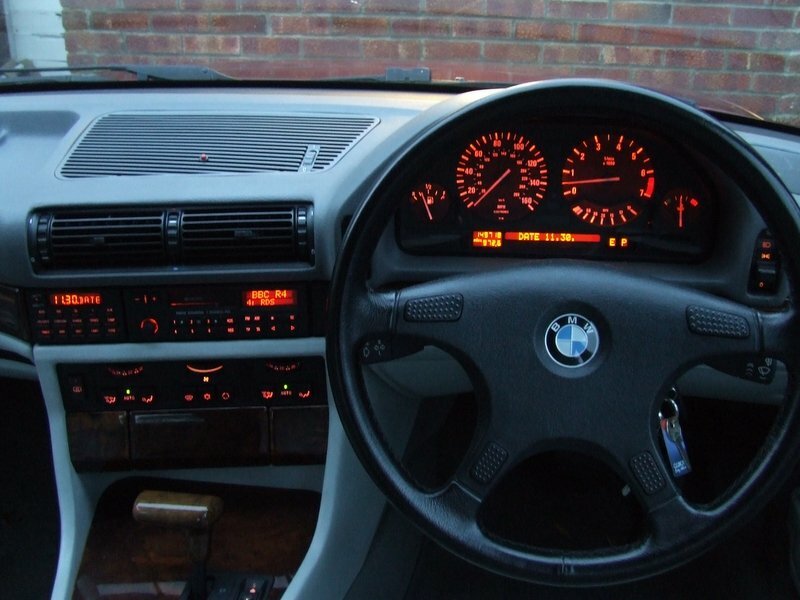 Later problems were rust appearing below the fuel filler and under the rubbing-strips by the rear-wheel arch but as the pictures show (all taken just before it was sold) it was still in excellent condition, especially the interior that was close to perfect. It also suffered from a failing Lambda sensor on one bank that would slowly enrich the mixture to a point where the catalyst would get exceptionally hot! A quick disconnection of the battery would reset the ECU adaptations and off it would go again for another 100 miles. 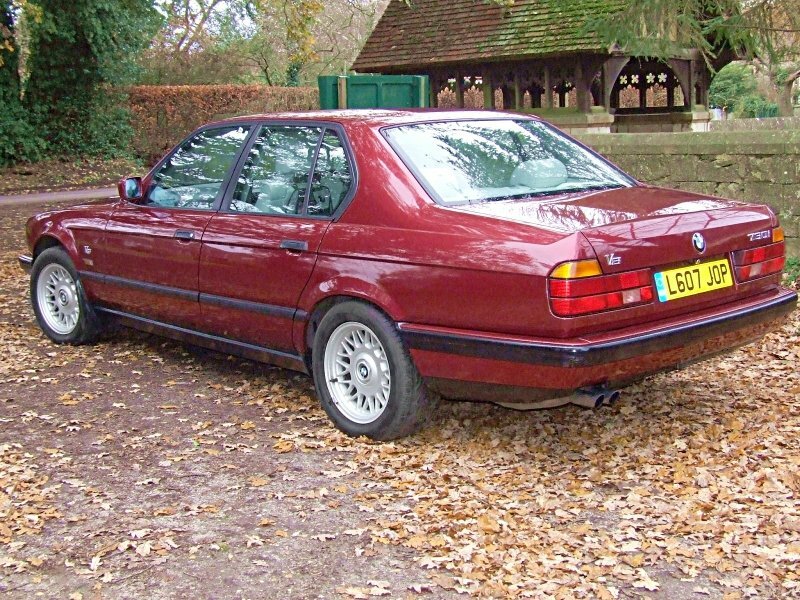 The wheels were 16" Style 8 Alloys from an 8-Series (E31) and suited the car well. 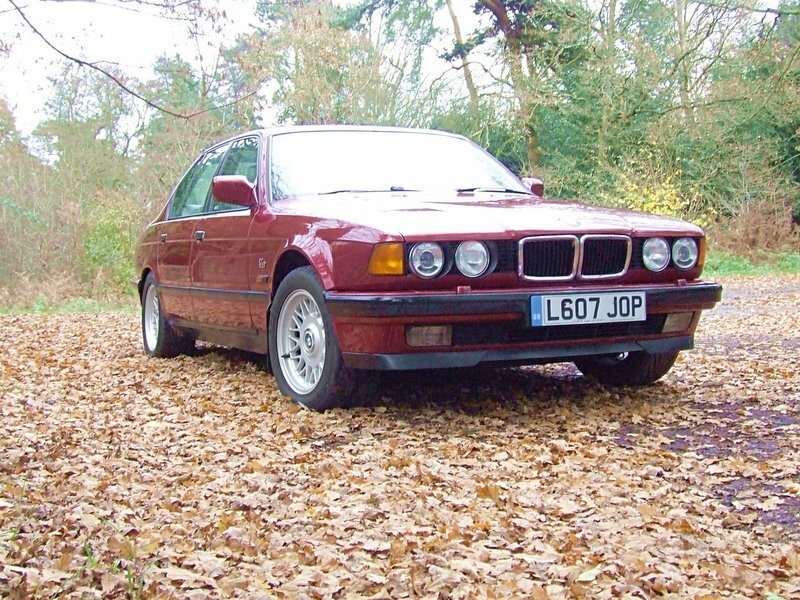 The standard 15" Basket-weave alloys look too old-fashioned, larger wheels compromise the suspension on the E32 making the ride harsh and cause the usual wandering which was a 'feature' anyway. 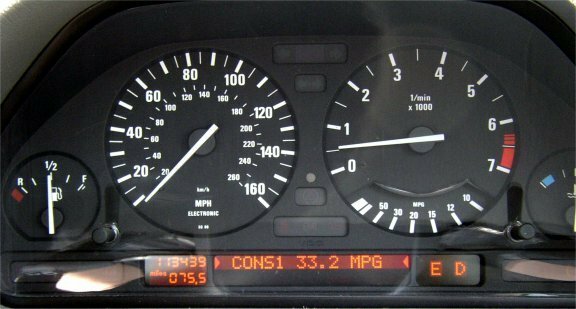 One of the common E32 complaints is the headlights, these get dimmer as the car gets older. The cause is two things, the glass fronts which get pitted and the reflectors which get duller with age. The reflectors are made of plastic, the silvering is vacuum-deposited and is very easily destroyed by rubbing. However, they can be revitalised by careful wiping with a solvent on a lint-free cloth. Both the dipped-beam and the fog lights are projectors and cleaning of the lens also helps. 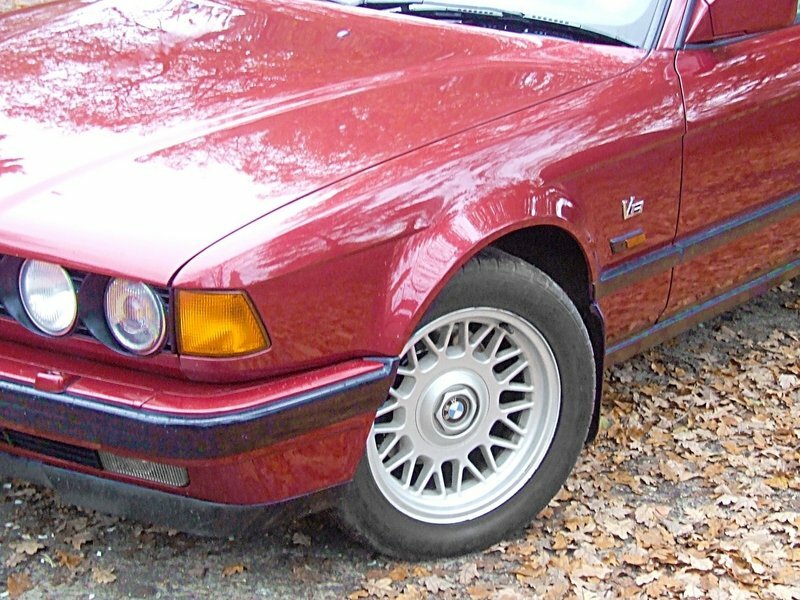 The E32 lenses are glass, the E38 (the successor to the E32) have plastic lenses giving much poorer edges to the beam pattern.